We intentionally gather teachers with diverse areas of expertise so that each class is unique and explores different pathways of transformation. Each workshop is designed to stand on its own, so you're not required to attend all of the workshops, though it is possible to attend them all. The welcome ceremony is a lighthearted way to connect with others on the retreat. The ceremony is a mix of spirituality, empowerment, and playfulness. We'll set the space through the ceremony and get to know each other in the process. "Through movement we remember we are wise, wild and free." Can you remember a time when you just knew something was true in your body? You knew it like you knew the sun would rise tomorrow. You could feel it in your bones. Qoya is a movement with meaning - a practice designed to help women feel good in their bodies and to access the physical sensation of truth. As we gather, set intentions and move through circling, heart opening, hip opening, dancing our yoga as prayer, exploring the shadow, shaking and free dancing, I'll invite you to dance with your own process of transformation. There are no levels in Qoya and you can't do it wrong -- and you know you're doing it right if it feels right to you. Join us in this circle of women and experience music, movement, sharing, fun and most importantly, a deeper connection with your body and your personal truth. Have you noticed your breath lately? Your breath tells a story. And it’s your story. Whether your breath is deep, relaxed and flowing or shallow and disconnected, the way you breathe is a reflection of your life’s story. Your breath can help you re-write your story, add a new chapter or gain a new perspective. Your breath can help you re-set and start anew. Change your breath, change your life. Breath is Spirit in and through the body. It is the connection between body and soul. When you breathe fully and use your diaphragm properly, you enhance your soul connection. You feel supported and receive guidance. Yet, people barely breathe. Soul Breathing™ is at the cutting edge of breathwork. It opens up old, ineffective patterns of breathing. It draws in more vitality and increases the body’s natural healing abilities. It activates a high vibrational energy that releases lower vibrational energy patterns that are stuck in your electro-magnetic field. Vibration is the key! In a Soul Breathing™ session, you will begin to permanently hold a higher level of vibration, and vibrating from this new place will help you let go of what no longer serves you. You create profound shifts in your mental and emotional states. You anchor your soul in your body. You start to attract more of what you want in your life, creating more balance, abundance and joy. Come, breathe. Experience the extraordinary power of breath. Rejuvenate your body, relax your mind, and renew. Join us Saturday evening for an introspective candlelit journey through a personal labyrinth to receive the wisdom of your heart. From there, you will be guided through a writing exercise that will invite insight from your deepest truths. And finally, you will have the opportunity to offer your heart and prayers privately to a beautiful mandala of offerings and flowers that will be burned as a gift to spirit at the end of the evening. Connect with your heart of hearts to integrate the day before heading to sleep. This gentle yoga experience helps participants experience stress relief and somatic (body-based) mindfulness. Based on the principles of Trauma-Sensitive Yoga by Dave Emerson, this class will offer the opportunity to practice introception, or greater awareness of physical sensation from inside your body. Attention to body sensation has been shown to correlate with reduction in stress and increase in present-moment experience. This class also focuses on the principle of choice-making. When we are stressed, either briefly or chronically, we may feel as though choices have been removed from us or limited. This can lead to a sense of disempowerment. To help increase your experience of power and agency, a yoga practice can offer a safe place to experiment with choices in your own body. Transform and re-pattern your life as we explore powerful questions through playful exercises, movement, laughter and journaling. Think of this as a 'Play Shop' for your body, mind and soul to expand and unwind. This workshop is an activation of the heart, and universal heart chakras with the use of a crystal bowl. Laurie with working the patterns of the energy grids of attendees to create a foundation and expansion for this experience. Then through use of the drum, she will lead us through a meditation to connect with nature spirits, animals and other energies of the cosmos as we take a tour of other dimensions to converse with nature or the cosmos. This will be followed by a simple ritual to honor nature or those animal spirits we connected with. This workshop provides the experience of using vibration in meditation and nature to connect and converse with other realms and dimensions. The Generosity Circle is a process of connecting to the rhythm of giving and recieving. Through this practice of giving and receiving we feel a part of the flow of life—the flow of the universe. We realize we are worthy of receiving AND we have something to offer for the benefit of others. We may not notice it unless we examine it with an honest lens, but one of the blockages that prevents us from living as a powerful, embodied, expressive, nourished woman is the practice of receiving skillfully. It may sound simple, but you may be able to recall scenarios where you wouldn’t allow yourself receive a money, help, or a compliment. When we are closed to receiving, are world become constricted and small. We may feel unworthy of receiving, or have a “do it all by myself” attitude. On the flip side, we also get to practice freely giving—no strings or expectations attached. We’ll explore how to freely give, without the need or expectation for reciprocity. When we learn to give from the heart, we are sending a message to ourselves, people around us, and to the Universe, “Others can benefit from my time, energy, words, actions, and/or money." Helena Kriel is a certified yoga teacher in Vinyasa, Kundalini, and prenatal yoga, and has additional certification in yoga for cancer patients and the elderly. She holds Yoga Alliance certification as a Continuing Education Provider, Experienced Registered Yoga Teacher, and teacher training program director. A trauma specialist, Helena earned a certification from the Trauma Center in Brookline, MA, as a Facilitator of Trauma-Sensitive Yoga (TCTSY-F) as taught by David Emerson. Helena earned a Master's degree in health care management and currently works as a case manager helping individuals with chronic physical and mental health conditions. Helena is working on a dissertation studying utilization of therapy by patients practicing TCTSY. Jen Quade is a Board Certified Holistic Nurse who creates spaces for women to remember their essence. She practices foundational and feminine bodywork techniques including Maya Abdominal Therapy and Holistic Pelvic Care and she leads workshops and retreats that weave ritual, movement, music and more. With a passion for ancient and traditional healing, she seeks to inspire deeper connection with ourselves, our communities and life itself. For more information: www.jenquade.com. Jill Goux is a seasoned Spiritual Teacher, Intuitive Energy Practitioner and Transformational Movement, Meditation and Life Coach, who is passionate about inspiring others to ignite their spark from within, in order to transform their lives. She started her own holistic health and wellness business in 1995 and has shared her gifts with people across the country and around the world. She is a published columnist in women's magazine, a Master Dowser and is the creator of JADE; a conscious movement class that blends the 4 elements into a Joyfully Active Dance Experience. Being a joy-seeker and creative soul, Jill also enjoys painting, drumming, ride horses and traveling in her spare time. Gifted Shaman, psychic medium, Laurie Wondra has known of her abilities to channel Archangels, Ascended Masters, helpers of the Universe and people that have died since she was seven years old. Today she uses her gifts to deliver messages that help bring direction, clarity and healing. Lives change when you work with Laurie and experience her powerful connection to the divine energies of the Universe. 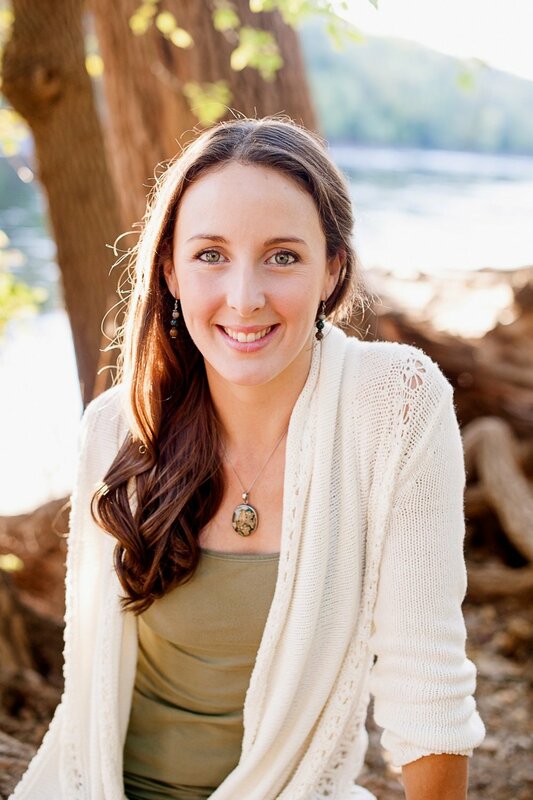 Laura Adrian is a healer, spiritual teacher, and empowerment business/life coach. Laura's offerings empower people to learn skills to overcome obstacles, align with a deeper purpose, spark new truths, and bring more love into the world. 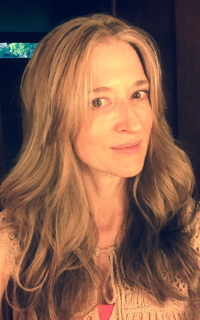 Laura has been studying and applying the healing and spiritual arts actively for 13 years in modalities including yoga (Kundalini, vinyasa, hatha, yin, Iyengar), meditation (mindfulness, breathing, and chanting), CranioSacral Therapy, shamanism, Traditional Chinese Medicine (herbs, diet, and lifestyle), and Reiki. Laura weaves together inspiration from these modalities in her classes, training programs, retreats, and coaching offerings. Laura also offers business coaching which helps those with an entrepreneurial spirit get their ideas off the ground and share their inspirational work with others.